Ann Shelton's large‑scale, hyper-real images mix conceptual and documentary modes of photography, investigating the social, political and historical contexts that inform readings of nature and landscape. The first major review of the New Zealand photographer's 20 years of practice - Ann Shelton: Dark Matter - is showing at Auckland Art Gallery until April 2017. Promoted as offering a fresh insight into the artist's deeply researched and explorative imagery, the exhibition uncovers the dark matter or unknown substance in her art in which time, place, narrative, trauma and female authorship unfold in shifting and destabilising ways. In the 300 page book Dark Matter, produced to accompany the exhibition, Ann's aesthetic is described by Dr Cassandra Barnett as including "doublings and multiples, decenterings, exclusions and displacements; stories buried or undone; surface visuality and dark depths; control and the uncontrollable." Her newest series - jane says - is no exception. 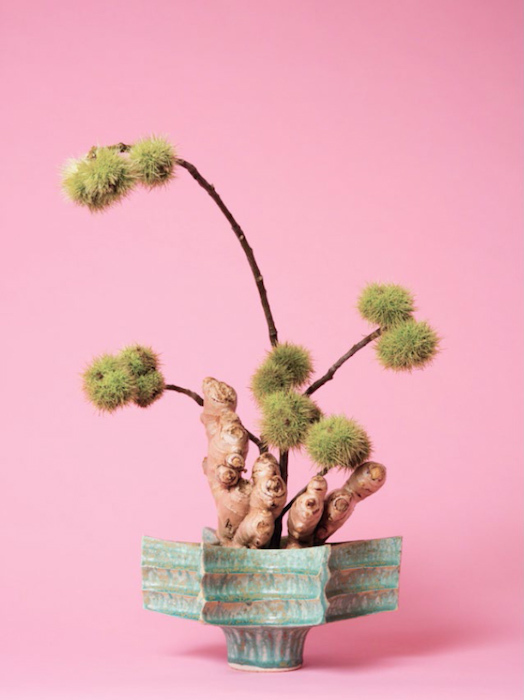 The dramatic, large-scale, richly coloured photographic works, quoting from the Japanese tradition of Ikebana, allude to concealed stories. Each work highlights a plant, herb or flower used historically in tonics and tinctures to control fertility. 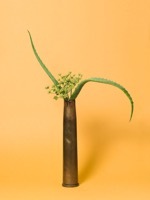 The artist has created and photographed these arrangements and titled the works to reference specific plant histories and to suggest broader issues related to female stereotypes, the control of nature and associated tensions such as that between traditional medicine and knowledge and the pharmaceutical industry. Ann Shelton is recognised as one of New Zealand's leading photographic artists and is the paramount winner of two New Zealand contemporary art awards (the 2010 COCA Anthony Harper Contemporary Art Award and the 2006 Trust Waikato Contemporary Art Award). Her work has been widely exhibited and features in numerous public and private collections in New Zealand and overseas. Ann lives in Wellington and is an Associate Professor at the Massey University School of Art Whiti o Rehua.